Do you ever find yourself after a long day scrolling through Pinterest and looking at gorgeous pictures of perfect homes with their clean countertops and stunning bouquets of fresh flowers in every room? As Moms, we’re lucky to get any time to ourselves because let’s face it, most days are difficult just to get out the door on time with some chapstick and a bar in our hand to call breakfast. If we had a little bit more time, maybe we’d spend it pampering ourselves a little bit more. I love the idea of creating a small simple area to put on my make up as well as easy to store all my beauty products. As I began really searching for some fun ideas to make my own makeup vanity, I realized not only could it not cost me an arm and a leg but it also seemed pretty simple too! 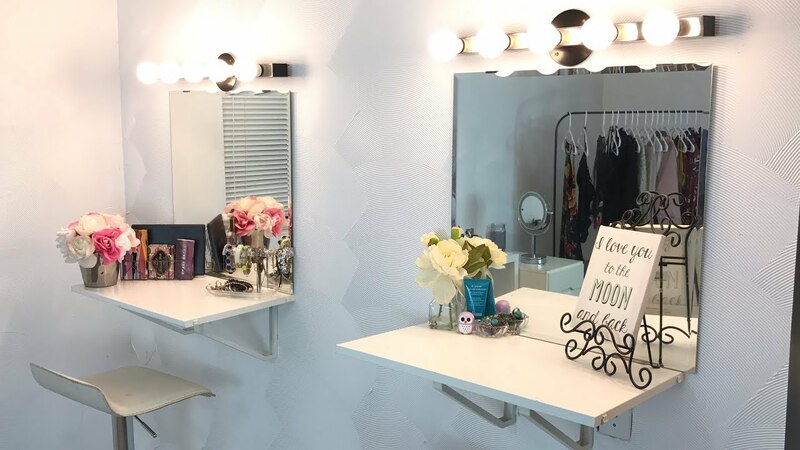 If it’s for a fun Mother’s Day project that your kids and husband want to get in on, or any other special occasion, wouldn’t it be a great idea to create your very own at home makeup corner? Here are a few great ideas that you can begin with right now! Small Corner - We all have that wasted space in the corner which can easily be converted to a makeup area for you to use. You an either find an old corner desk to convert into a makeup area or even build one yourself. I love finding a comfortable ottoman chair either from a garage sale or various apps online. Add a cute mirror and a few shelves and you should be all set. Here’s my favorite part about your little corner- you’ll actually be able to free up other places where all your beauty supplies were first stored! My husband actually enjoyed being able to put a few of his favorite products on the extra counter space now. ha. Repurpose Pieces In Your Home - Remember those old chairs or that old kitchen stool that you have just sitting in the basement? Why not use it to help create your little vanity station for you ( or even your teenage daughter who we all know is probably wanting a make-up area of her own ). 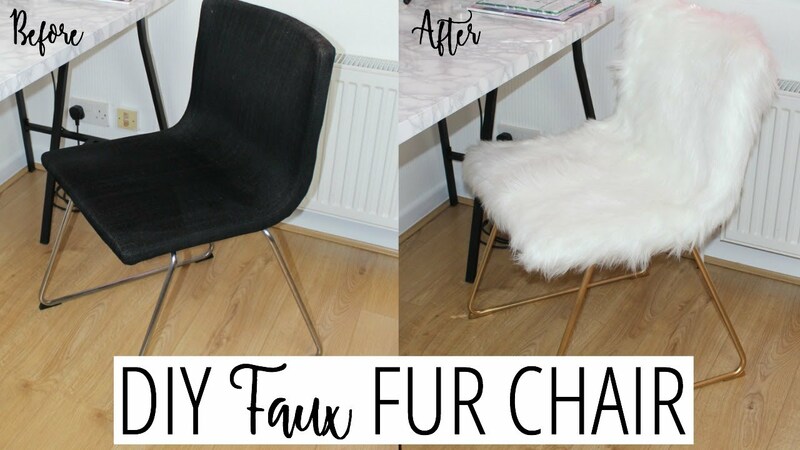 Add some spray paint colors and fabric and suddenly it’s as good as new! The best part is you barely spent any money to repurpose these items because you already had them in your own! Personalize it with a few baskets and a new mirror that you found at the local garage sale and viola! Design Around A Piece - I never thought of turning a dresser into a makeup vanity but when I found a friend had done it in her home it was a genius idea! It has so much great storage to add large beauty products and not just your makeup because of the drawers. You can use the top area to keep the items out that you use every day such as foundation brushes, various palettes and more! I like to add a few fun shelf ideas for even additional storage and to dress up the space to make it a bit more stylish! Stay On Budget - The most important thing is sticking to a budget and it doesn’t have to be a big one at that when you first want to get started. You can still create something practical and nice even if you have a small one. Think of a small table and chair to start with and then expand from there. There could be some inexpensive storage pieces that may not take up some space or even ask around from neighbors and friends if they have anything they are wanting to get rid of. 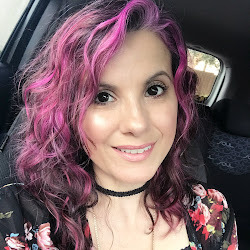 Hire A Professional - If you’re thinking of going all out for your makeup vanity and want to add some great lighting, you’ll want to probably hire a professional to help you with the wiring that might be involved. If you live in the Jacksonville, Florida area you’ll want to call American Electric who specialize in electrical work for your home. They lead through honesty and integrity, deliver optimal results, inspect what you expect, follow up to ensure you are satisfied with their work and make cutting edge quality workmanship for all their customers. Now that you have a few fun tips to help with your DIY vanity, what tips will you start with first? Today's guest sponsored post is by "Cait's Cozy Corner".